MINNEAPOLIS (AP) — Just like last season, Jimmy Butler and the Minnesota Timberwolves traveled to San Antonio for their opener. After all the disruption caused by Butler’s trade request that became public a week before training camp began, no deal has been made. So the four-time All-Star will be on the court facing off against the Spurs with his Timberwolves teammates on Wednesday, no matter the awkwardness and tension that might be lingering. “I’m planning on playing him, and if he feels good he’ll be ready to go,” Timberwolves head coach Tom Thibodeau said after an abbreviated practice on Tuesday, before the team departed for the airport for the trip. Butler has only participated in four days of on-court workouts with the team, starting with his raucous appearance a week ago. Thibodeau canceled practice the following day, and Butler did not accompany the team to the preseason game on Friday because of what was officially announced as rehabilitation for his right hand that was surgically repaired in July. 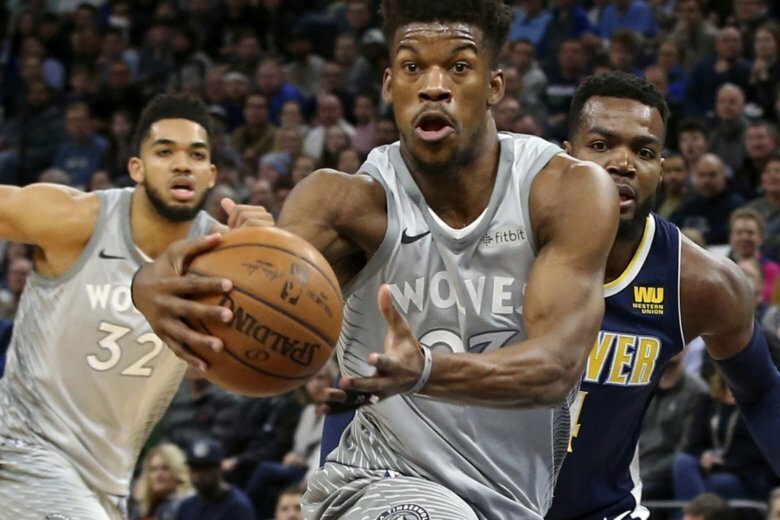 After another day off for the team, Butler was back at it with the rest of the Wolves on Sunday and made available for questions afterward to local reporters for the first time. His first public comments on his status came in an ESPN interview a few hours after his demonstrative arrival last week. Whether the guys in the same jerseys are happy to have him around while simultaneously wanting out, well, that depends on the guy. Fellow All-Star Karl-Anthony Towns was clipped in his replies to questions about Butler’s presence. Newcomer Anthony Tolliver delved a little deeper into the topic of Butler on Tuesday. There’s no doubt about getting Butler’s best on the court, at least, for as long as he’s still with the Wolves. “It’s not in his DNA to slack,” Tolliver said. The Wolves lost four of their five preseason games, allowing an average of 123.8 points per game. Meaningless exhibition or not, their performance left much to be desired while the Butler saga swirled around the team. Who knows whether Butler, who can become a free agent next summer, will continue to be a part of that?